According to popular research, chocolate is the most widely and frequently craved food and many of us will freely admit to being addicted to chocolate. And it would appear that we Brits are the confirmed chocoholics of Europe – indeed, a recent survey by retail analyst, Datamonitor, revealed that we devoured some 661million kg of cocoa-based products in 2012, which accounted for almost one third of the entire European chocolate market. 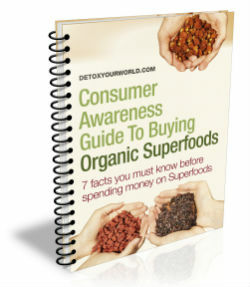 But exactly how do we get from raw cacao to chocolate? Let’s take a look! Cacao or cocoa is made from the cacao beans found in the fruit (cacao pods) of the cacao tree, a tropical tree native to Central and South America. The cacao pods are harvested by local farmers who open them with a machete to expose the cacao beans hidden inside. 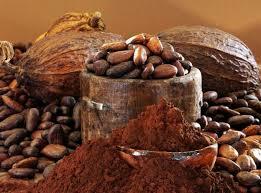 An average pod contains between 20 to 50 cacao beans and up to 600 are required to produce just 1kg of chocolate. Next the farmer removes the fruit pulp and the cacao beans, before discarding the outer rind or husk. Both the fruit pulp and beans are subsequently placed in piles to ferment. Traditionally this was done directly on the jungle floor although these days specially designed bins or grates (that encourage a low fruit fermentation and ultimately a better tasting raw cacao bean) are commonly used. During the fermentation process the fruit pulp undergoes a process called ‘sweating’ where it liquefies and drips away, leaving only the raw cacao beans. This sweating gradually increases the temperature of the cacao beans, causing them to briefly germinate and allowing them to develop their powerful chocolate flavour. After fermentation the separated raw cacao beans are spread out on to large mats in order to dry in the sun, which can take from several days to weeks. Once dried, the raw cacao beans are extremely hardy and resistant to mould, and are now ready to be transported to every corner of the globe for transformation into a delicious range of chocolate products including cacao nibs, cacao butter (an edible vegetable fat extracted from the cacao bean), cacao powder and chocolate bars and sweets. The finest raw cacao beans tend to be large and boast a beautifully smooth skin – after peeling, they can be popped directly into the mouth and savoured exactly as they are. To make chocolate as we know it however, the beans are first roasted and then smashed into crunchy cacao nibs that are subsequently ground into a rich, creamy paste known as chocolate liquor. It is this chocolate liquor, in addition to cacao butter, that forms the basis of all chocolate bars. Many of us mistakenly believe that chocolate is somehow bad for us, or in other words, naughty but nice. That’s because standard chocolate usually contain fattening dairy products, unhealthy refined sugars and artificial additives. Raw chocolate on the other hand, is made from wholesome raw cacao that hasn’t been heated to high temperatures and is literally brimming with beneficial nutrients, including vitamins, minerals, fibre and essential fatty acids that boost our energy levels, promote a prolonged feeling of fullness, improve mood and concentration and can actively encourage weight loss. • The raw cacao in raw chocolate has never been heated to high temperatures, preventing its valuable flavonoids from being destroyed. • Raw chocolate doesn’t contain milk or gluten. Many of us are either intolerant or allergic to milk and/or or gluten (often without realising), which can cause abdominal pain, diarrhoea, constipation and may even lead to serious digestive disorders. In addition some scientific researchers suspect that milk inhibits the positive action of the flavonoids found in cacao. • Raw chocolate is made using natural superfood sweeteners and contains absolutely no refined sugars (which are bad for our teeth and can cause obesity and chronic disease such as type 2 diabetes). • Raw chocolate contains no artificial flavourings, colourings or preservatives (which can trigger allergies and other unpleasant conditions). • The total raw cacao content in raw chocolate is significantly higher than that of regular chocolate, meaning that the myriad benefits of raw cacao are maximised. • Raw chocolate possesses an intense, unadulterated raw chocolate flavour that simply cannot be beaten. So, if you want to enjoy your daily cacao fix yet prefer to avoid the unhealthy side effects associated with standard chocolate, then always opt for raw chocolate bars or have a go at making it yourself. Hi to every one, since I am in fact keen of reading this blog’s post to be updated on a regular basis.